British players will be free to represent their clubs in Europe in the event of a no-deal Brexit, European Rugby chiefs have confirmed. There were concerns that if the UK leaves the EU on March 29 – the weekend of the European Champions and Challenge Cup quarter-finals – that British players in squads would suddenly be classed as foreign. That would therefore make many ineligible as each club is permitted a maximum of two ‘non-European players’ in each match-day squad. But EPCR, the governing body, have said UK citizens will be seen as ‘European’ for the remainder of the tournament. 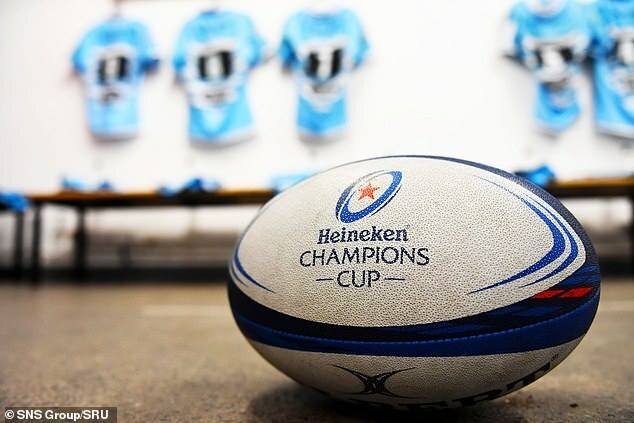 That will be a great relief in particular to Saracens and Glasgow who face each other on March 30 at Allianz Park, as well as Edinburgh and Ulster in the Champions Cup and Northampton, Harlequins, Worcester, Bristol and Sale in the Challenge Cup. Quarter-final weekend in the Champions Cup will also see a quick evaluation of what, if any, implications Brexit has on the UK border. Ulster are due to bring around 12,500 supporters with them from Northern Ireland to Dublin for their sold-out March 30 clash with defending champions Leinster in Dublin, while Munster are Edinburgh-bound that same day.